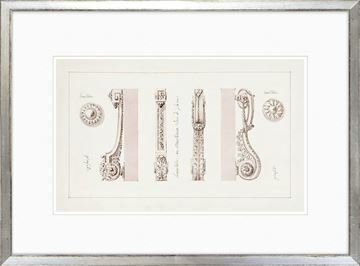 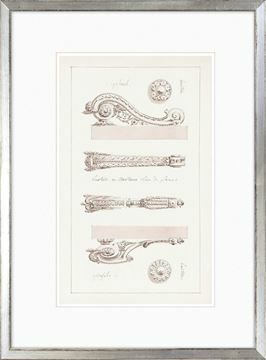 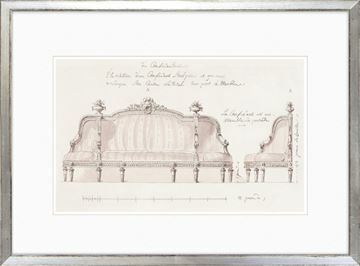 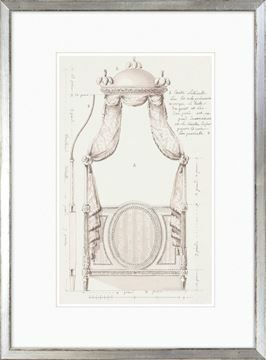 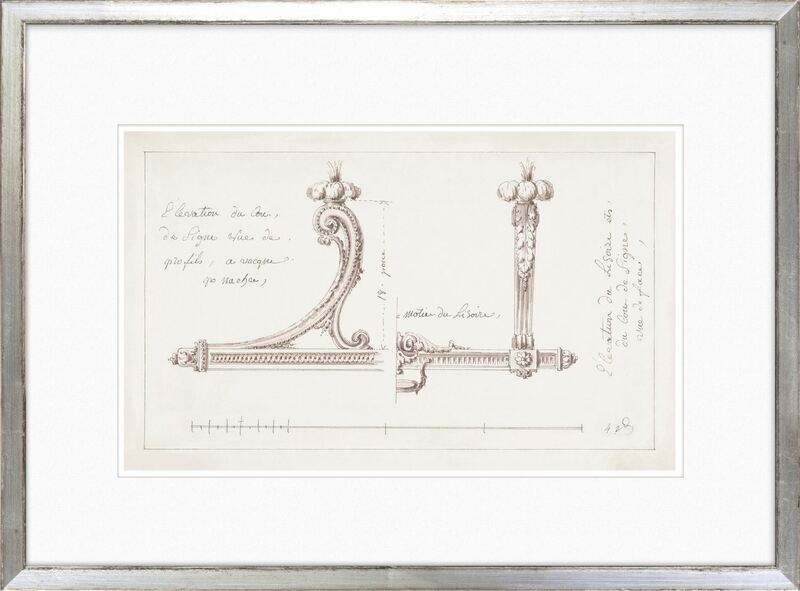 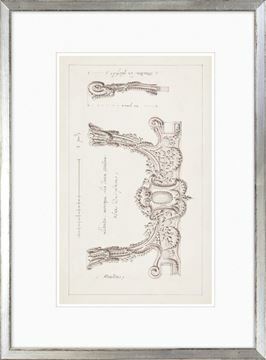 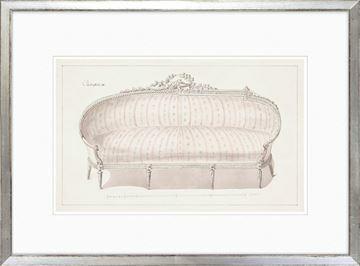 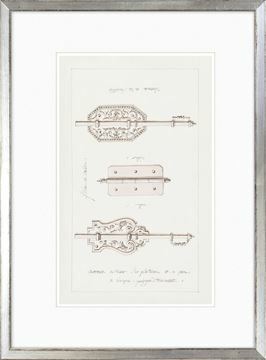 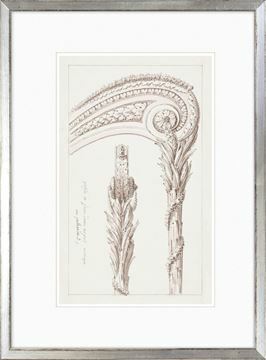 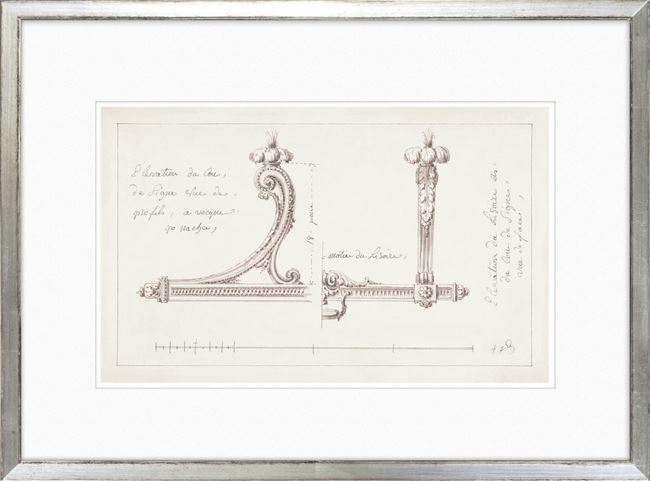 These fine 19th century pencil and wash sketches include furniture and door hardware of exquisite detail. 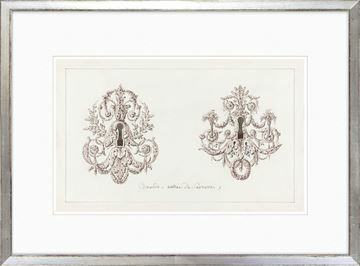 De Lalonde was a French illustrator and designer of fine decoration for furniture, musical instruments, door hardware and mirrors in the highest courts of the time. 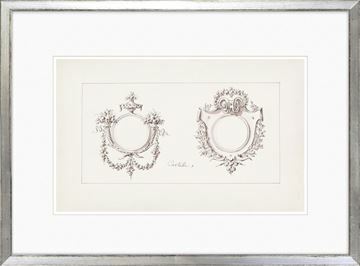 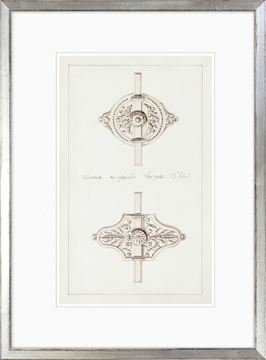 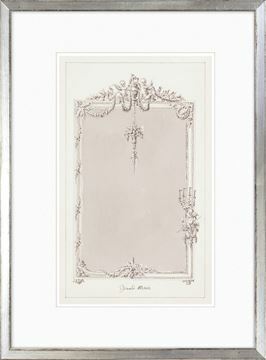 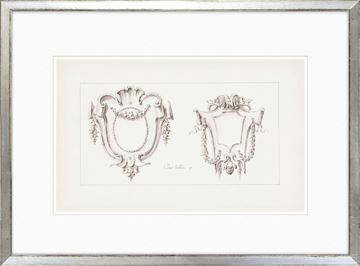 Each is set in a clean white, linen textured, matte with an antiqued silver frame.